The result is in! 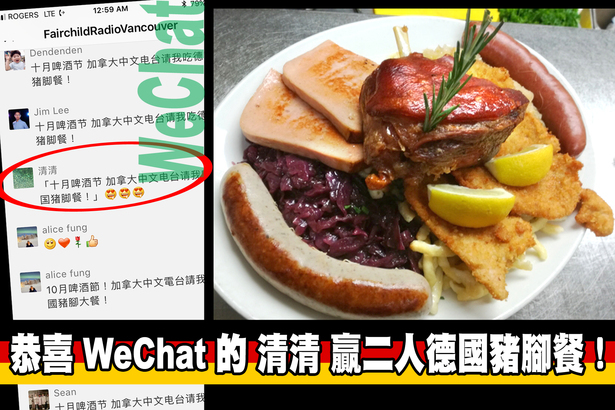 WeChat's Ching Ching was selected from a pool of 339 participants to be the winner of Fairchild Radio's October Social Media Game. She will be awarded a Vancouver Alpen Club $50 gift certificate which can be redeemed for a "Feast For Two" meal set at the Club's restaurant Deutsches Haus Restaurant. There is even money left for drinks or dessert!